Hon. D. J. H. Thompson: To move the Second Reading of the Land Tax (Amendment) Bill, 2008. The Bill first appeared in the Official Gazette on 3rd November, 2008. Hon. C. P. Sinckler: To move the resumption of the debate on the Second Reading of the Constituency Councils Bill, 2009. Notice of this Bill was given on 30th January, 2009. The Bill was read a first time on 10th February, 2009. The Bill first appeared in the Official Gazette on 16th February, 2009. The Hon.C. P. Sinckler: spoke and moved seconded by the Hon. D. J. H. Thompson that the Bill be read a second time. Mr. H. F. Lashley spoke. Dr. the Hon. D. S. Lowe spoke. Miss C. Y. Forde spoke. Dr. the Hon. D. C. Estwick: To move the Second Reading of the Liquor Licences (Amendment) Bill, 2009. The Bill first appeared in the Official Gazette on 9th February, 2009. Hon. F. J. Stuart: To move the Second Reading of the Criminal Appeal (Amendment and Miscellaneous Provisions) Bill, 2009. Notice of this Bill was given on 6th February, 2009. Hon. F. J. Stuart: To move the Second Reading of the Caribbean Court of Justice (Amendment) Bill, 2009. Hon. F. J. Stuart: To move the Second Reading of the Constitution (Amendment) Bill, 2009. Hon. D. J. H. Thompson: To move the passing of a Resolution to approve the Arts and Sport Promotion Fund (Amendment) Regulations, 2008. Notice of this Resolution was given on 6th February, 2009. Hon. D. J. H. Thompson: To move the Second Reading of the Income Tax (Amendment) Bill, 2009. Notice of this Bill was given on 13th February, 2009. The Bill was read a first time on 17th February, 2009. Hon. M. A. Lashley: To move the Second Reading of the Bay Street (Vesting) Bill, 2009. Hon. 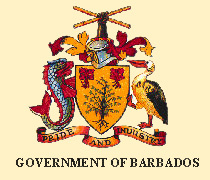 D. J. H. Thompson: To move the passing of a Resolution to approve the guarantee by the Minister responsible for Finance of the payment of the principal sum of $ 50 million and interest thereon to be borrowed by the Barbados Port Inc. from BNB Finance & Trust Corporation for the purpose of financing a portion of the Company’s existing debt and its ongoing capital works programme. Notice of this Resolution was given on 20th February, 2009. (a) Hon. R. D. Jones: To move the passing of a Resolution to grant the sum of $16 933 657 from the Consolidated Fund and to place it at the disposal of the Government to supplement the Estimates 2008-2009 as shown in the Supplementary Estimates No. 19 2008-2009 which form the Schedule to the Resolution. 1. Will the Prime Minister please state whether it is the intention of his Government to build a new hospital or refurbish the existing plant? (a) If the answer is to build a new hospital, will the Prime Minister state the cost of constructing such and how Government intends to finance such construction? (b) Alternatively, if the intention is to refurbish the existing plant, will the Prime Minister state the cost of such refurbishment? Notice of this Question was given on 5th December, 2008.